InkWing has another T-shirt contest going on at their blog, for a shirt that will be available at Comic-Con in San Diego. 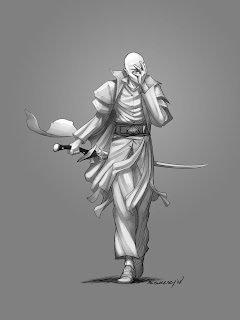 They don’t have a picture of the shirt yet, but it’s going to use Ben McSweeney’s image of Szeth from THE WAY OF KINGS. InkWing has also taken over the Allomantic symbol decals that we have in our store. If you want to get one of these to put on your car, laptop, or whatever, go over to InkWing. The newest ALCATRAZ VERSUS THE EVIL LIBRARIANS annotation covers chapter seventeen. This one talks about losing sleep because you can’t stop reading. What’s the best way to tackle a long backstory? Tor.com’s science blogger Dr. Lee Falin has another article on possible scientific explanations for the magic in the Mistborn series. This article covers pewter. Scott Ashton has uploaded another one of my creative writing class lectures. This one talks a lot about agents and publishing contract terms.